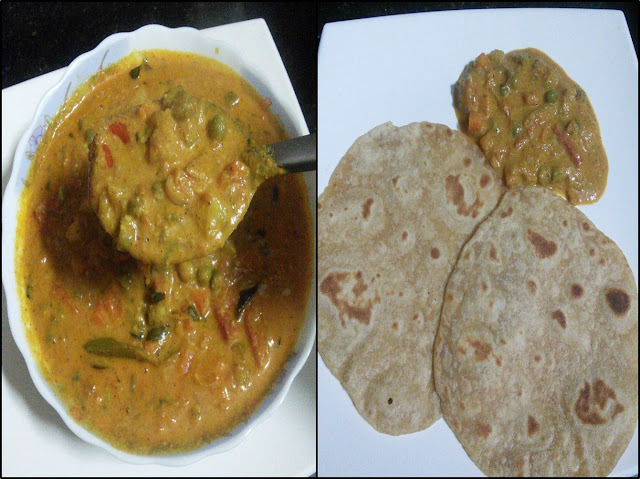 Vegetable kurma is a family favourite dish for everybody. This vegetable kurma and chapathi is our weekend special during our childhood days. The classic combination of carrots, peas, beans and potatoes is enriched with coconut masala paste and other spices. Any type of kurmas cooked in medium flame allows the ingredients to give maximum richness. Make sure to cut the vegetables in equal size so that you don't have some vegetables overcooked and others undercooked. Do not cook the vegetables for more than 2 whistles because the beans and green peas will turn to grayish colour when overcooked. For a perfect kurma, taste as you cook and make sure there is a nice balance of flavours and you will be able to determine any adjustments needed for it. After finishing the kurma do not hurry up to serve immediately because you can enjoy the flavours once the kurma is at a room temperature. 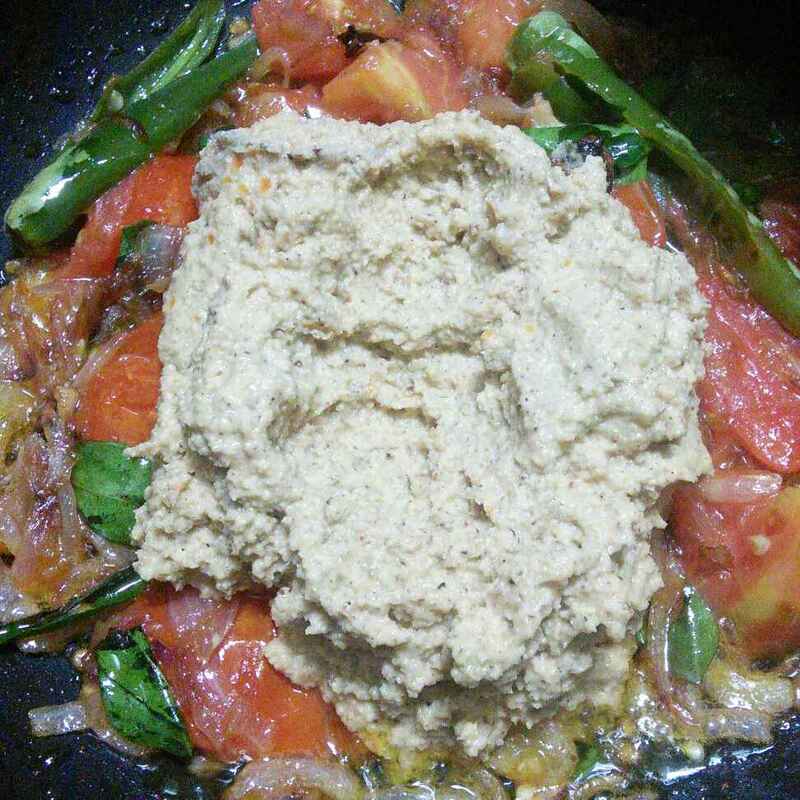 Let's see how to prepare this Hotel Vegetable Kurma with step by step photos. 1. 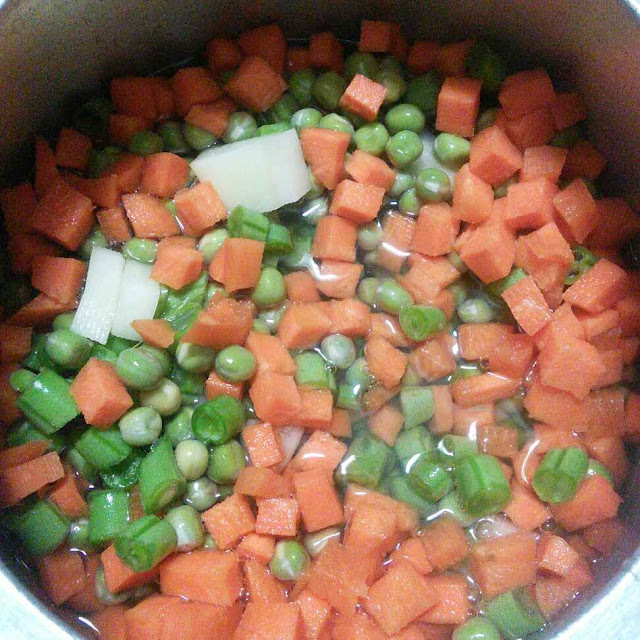 Wash and soak the green peas for 4 to 5 hours. 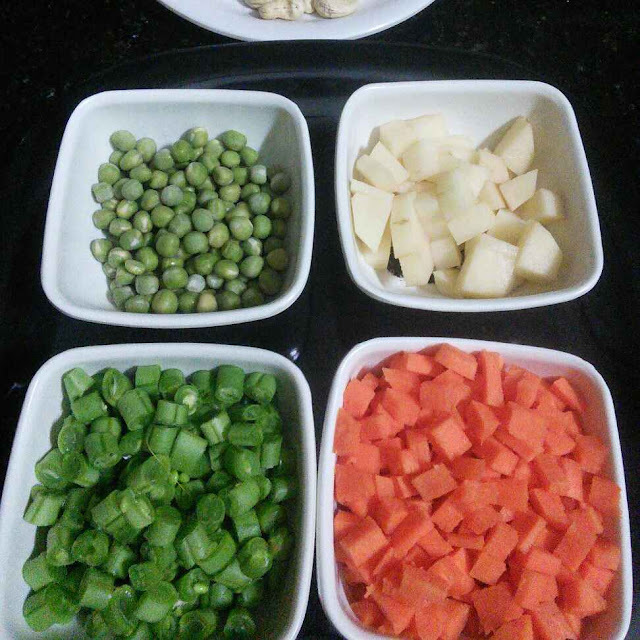 Peel the carrots and potatoes and cut them into small cubes. Cut the beans also into small pieces. 2. 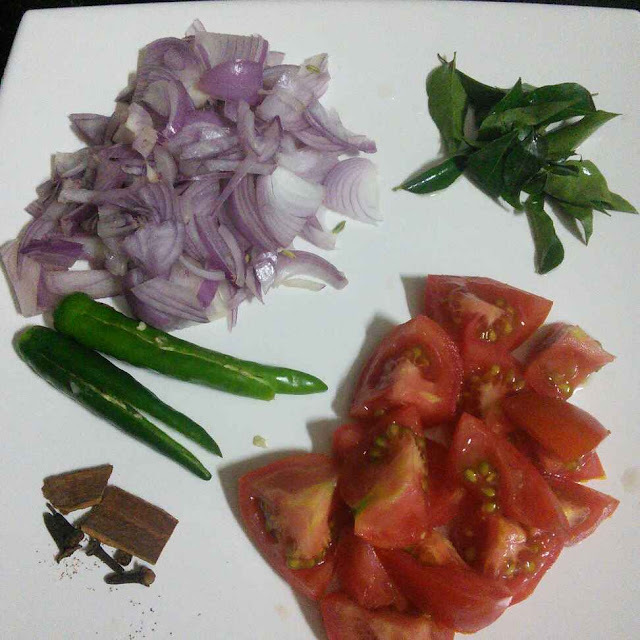 Chop the onions, cut the tomatoes and slit the green chillies. 3. Add the vegetables and 1 cup of water in a small pressure cooker or pan. Keep in low flame and pressure cook for 2 whistles. (Use a small 1.5 or 2 ltr preesure cooker or pan). 4. 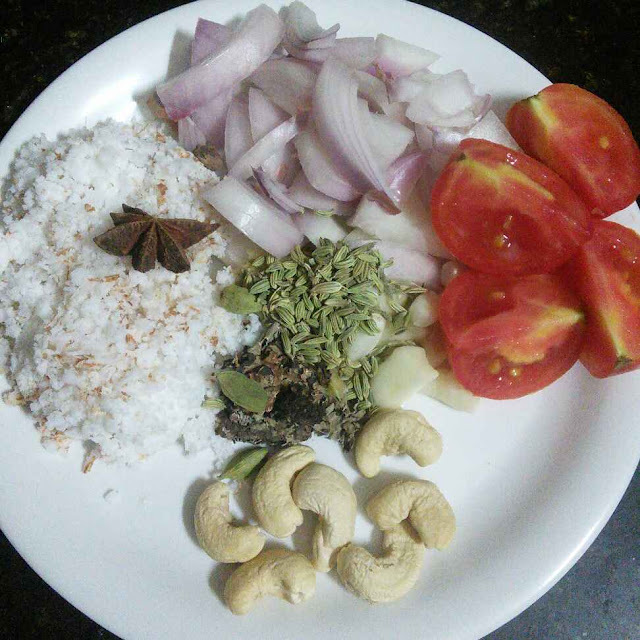 Take all the ingredients for the masala paste ready. 5. 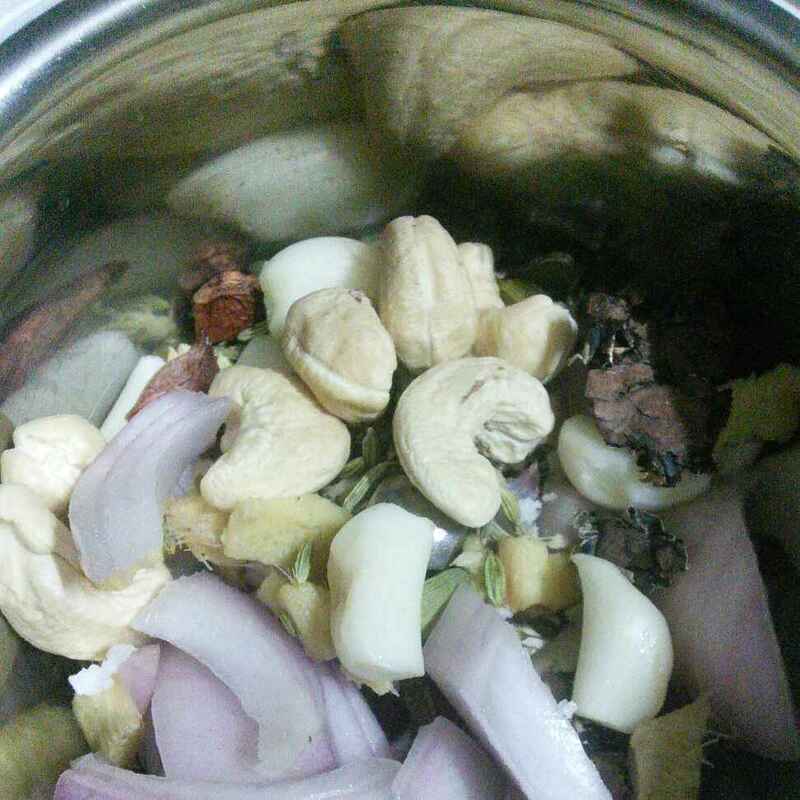 Take a small chutney jar and add the onions, 7 garlic cloves, 1 tsp chopped ginger, 3 cardamom, 1 tsp fennel seeds, 1 star aniseed, few kalpasi and 7 cashew nuts. Grind it without any water. 6. 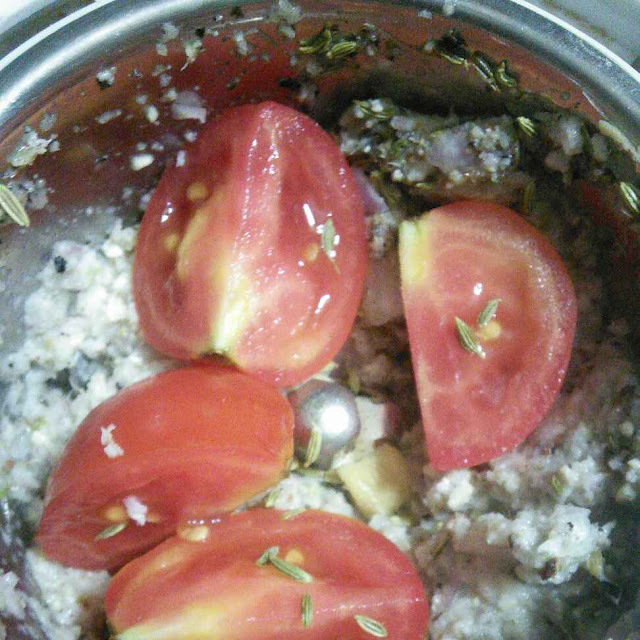 Next add the tomatoes and grind it. 7. 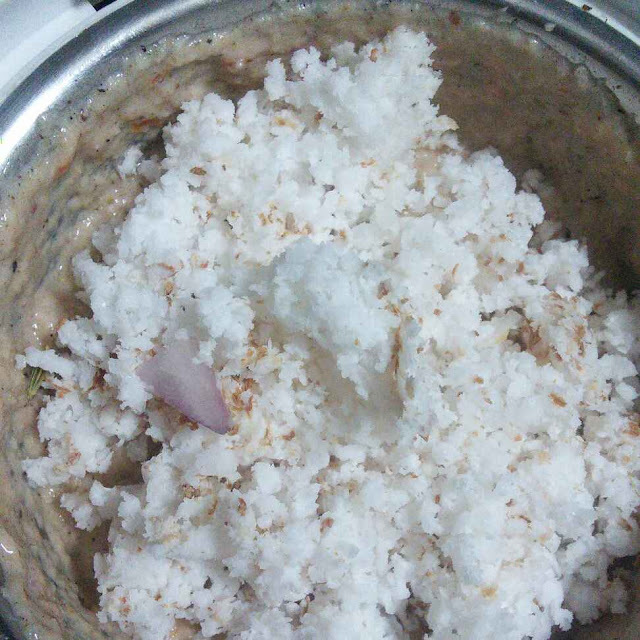 Now add the grated coconut and grind it to a smooth paste. 8. Grind like this as shown in the picture. Add water if required while grinding. 9. Heat oil in a kadai and add the cinnamon and cloves. 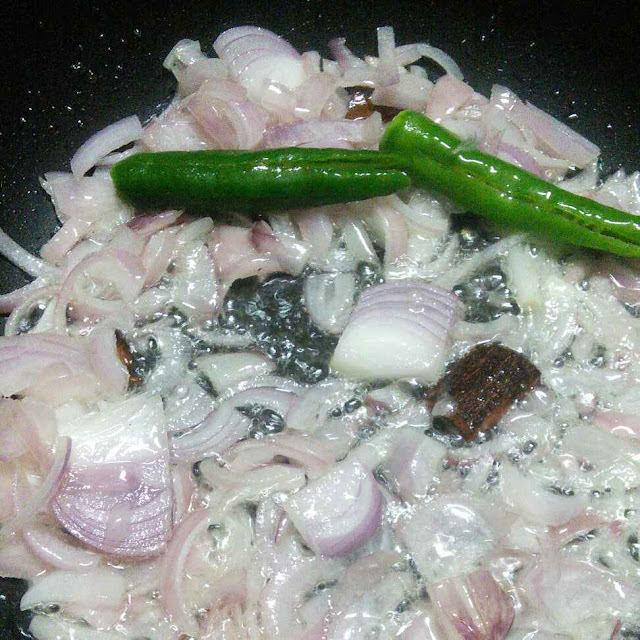 Next, add the onions and green chillies. 10. 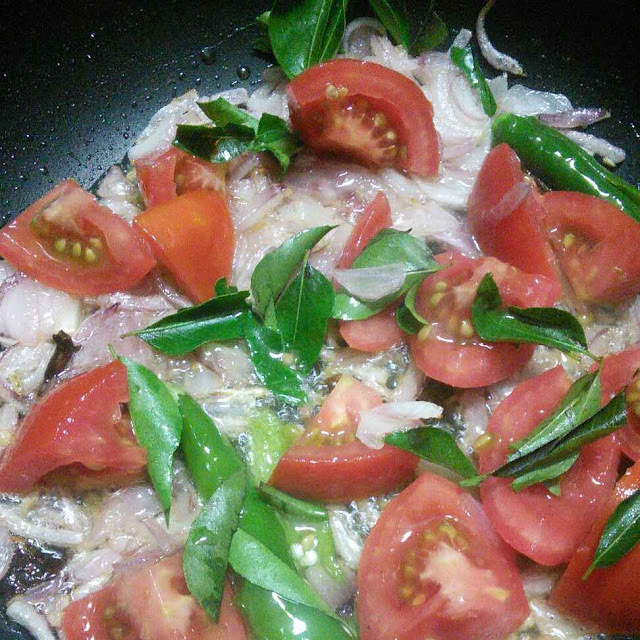 Saute it in medium flame until it turns golden brown.Next add the tomatoes, curry leaves and saute until it turns mushy. 11. 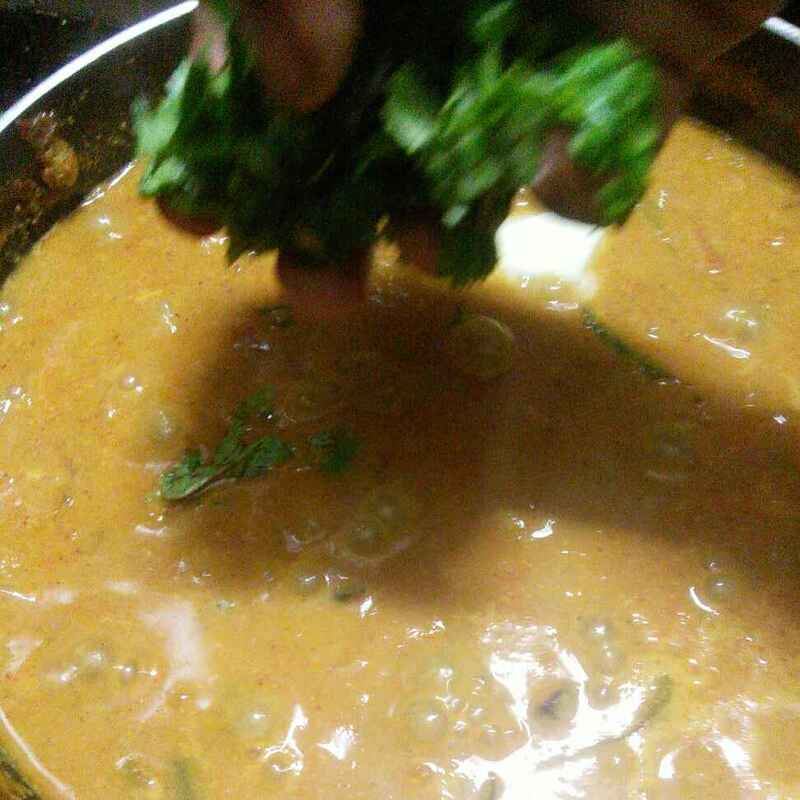 Then add the ground masala paste and saute it for 2 minutes. 12. Next, add 1 cup of water and mix them well. 13. Now add the pressure cooked vegetables (along with the water). Mix them well and add the required salt. 14. Now add the masala powders one by one. 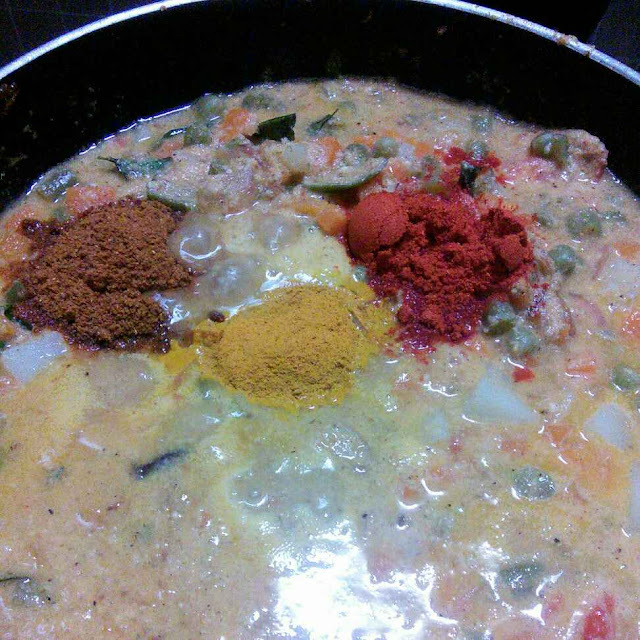 1/2 tsp turmeric powder, 1/2 tsp chilly powder and 1/2 tsp garamasala powder. 15. Now allow the kurma to boil. When it starts boiling, add the mint leaves and coriander leaves to it. 16. After few minutes, add the unsalted butter. 18. 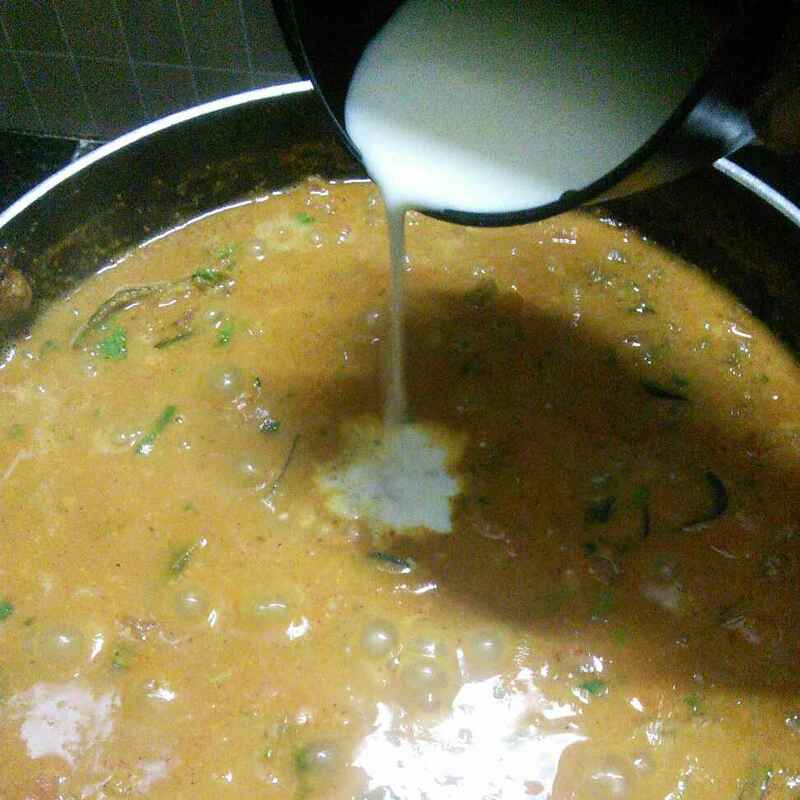 Allow it to boil well until you see drops of oil floats on the top of the kurma. If the kurma appears thick, add some water and allow it to boil for a few more minutes. 19. 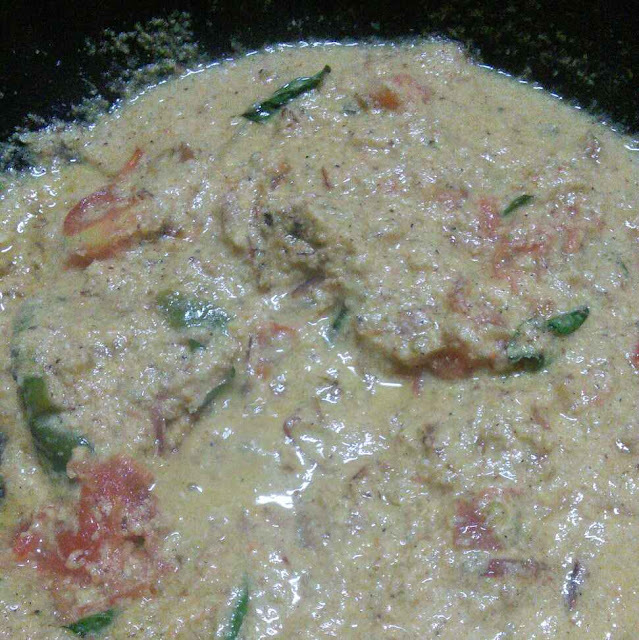 Serve it with chapathi or parotta. 1. 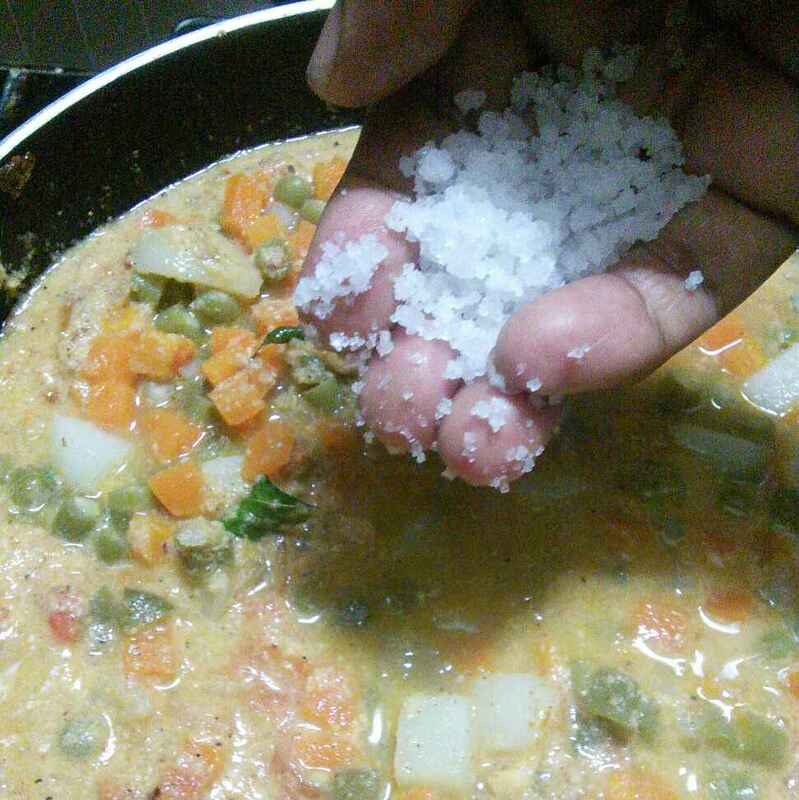 Always use fresh vegetables and fresh grated coconut for kurma. 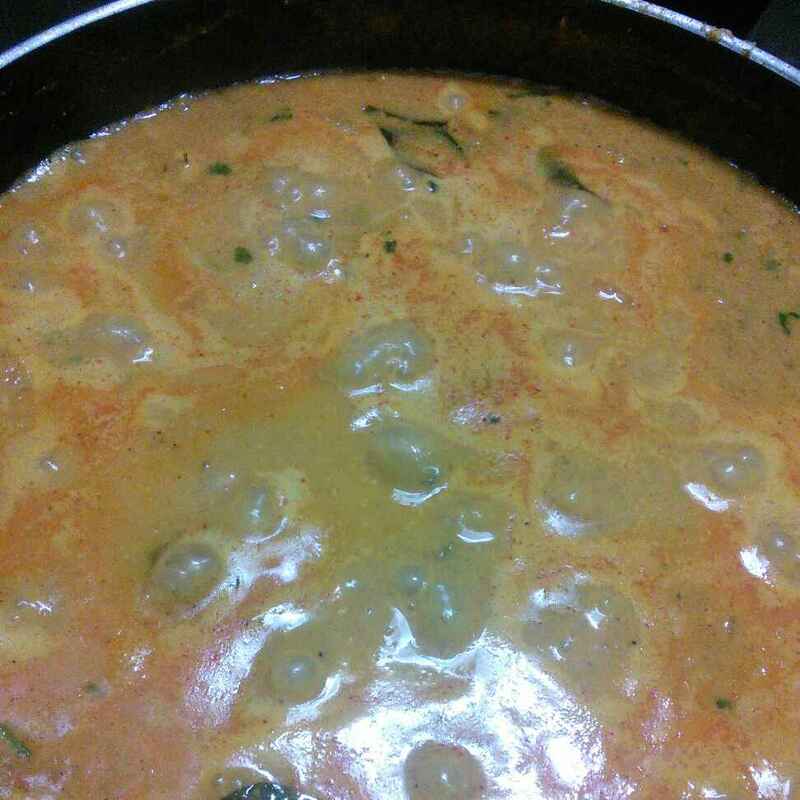 I prefer dry green peas for this veg kurma. In addition, you can add cauliflower florets and chayote for this kurma. 2. 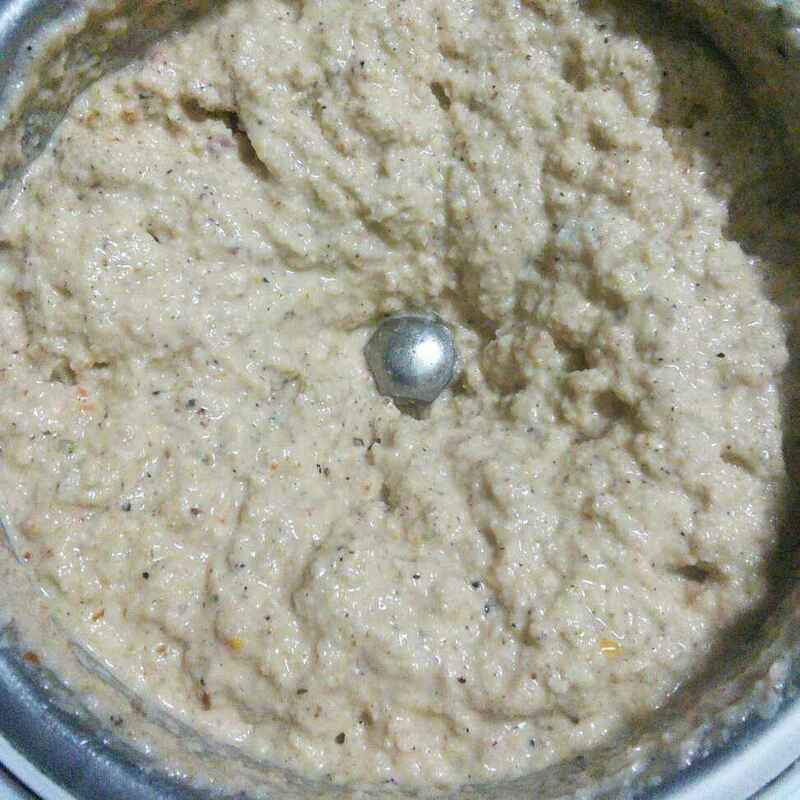 Grinding the masala paste smoothly is very important for this kurma. If you ground it coarsely the kurma will be thin and runny consistency. 3. 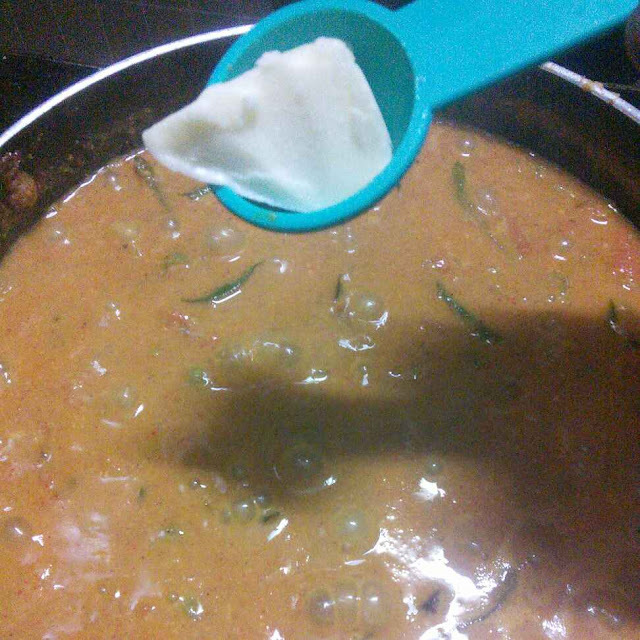 Don't forget to add the curry leaves because it gives you a nice aroma in the dish. You will find it when you taste it. 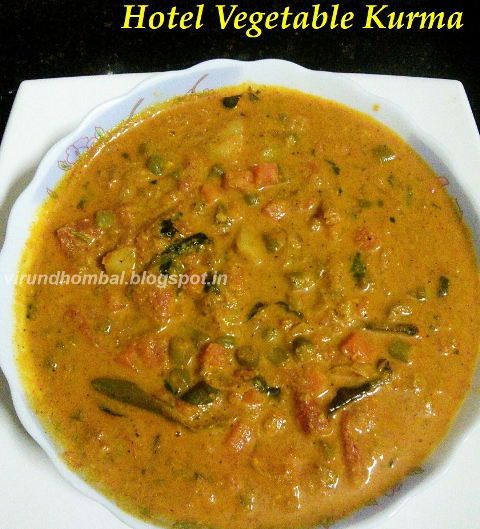 If you try this recipe for Hotel Vegetable Kurma send us your comments below and share the recipe for your family and friends. They look very much restaurant like.